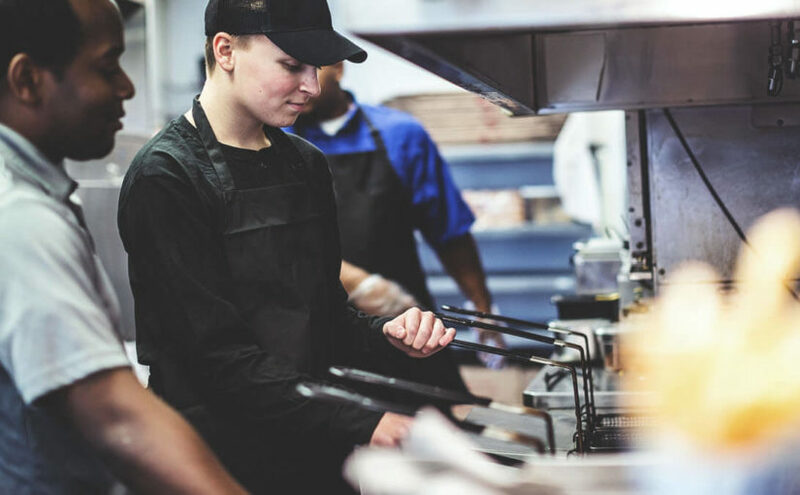 Managers in the food service industry know one universal truth all too well — employee retention can be incredibly difficult. Whether you work in fast food, a cafeteria, a conventional restaurant or another facet of the industry, the same challenges exist for every business segment: lower pay and benefits, shift work and the sheer physical toll the industry takes. Any or all of the above can cause good employees to leapfrog around in the industry or to abandon the trade altogether, and when they do, managers are left with the challenges this turnover creates, including the financial expense of constantly hiring and rehiring, training and ensuring that new employees are up to speed as quickly as possible so the guest experience isn’t diminished. Veteran employees do more than reduce these concerns, they provide a sense of stability in an industry that has a reputation for high turnover in its employee population. So how do you buck the trend and keep your veteran employees as long as possible? It starts with these tips. Change the mentality from day one. One of the largest reasons employees leave the food service industry is because they see it solely as a job and not a career. In many cases, however, the manager working with them is living proof that the opposite is true. In instances where managers worked their way up to management from a shift position, it behooves them to share these experiences with new employees, telling them not only about their own path but what it took to get there. Some employees may have no interest in staying in the industry for their career, but those that do should be shown there are opportunities for advancement available. Support employees in their ongoing needs. Life happens fast and managers need to be receptive to problems their employees could be having outside the company that may affect their work availability. The ability to find work solutions outside of the standard 9-5 business environment is a real advantage of the industry, and an employee who needs day shifts off, for example, may be able to stay with the company through night shifts instead. Discussing these challenges with the employee and creating a creative solution can prevent an unwanted departure and keep the employee even more content in their role. Place safety as priority number one. The National Safety Council estimates more than 25,000 slip-and-fall incidents occur every single day, and when coupled with cuts, burns and lifting injuries, food service can be a dangerous place to work. Prioritizing safety can alleviate these fears among employees — and stop them from looking for perceived “safer” occupations. It can also save the company labor time. Restaurant Technologies' Oil Management system, for example, completely automates one of the industry’s most dangerous jobs so kitchen staff aren’t exposed to risk and are free to tackle other obligations within the business. Managers must explore every option available to improve safety in their business, and they shouldn't be shy about showcasing the safety measures they have instituted. Employees who feel protected feel valued. Let employees know they are important. Team members are more than just a name assigned to a group of tables or a position on the kitchen line, and managers who understand this will retain their best employees. Standing up for team members in cases of crisis and working with them to solve challenges in the business are surefire ways to make them feel like a respected and vital cog in the food service machine. The customer may always be right, but the employee need not always be wrong. There are a myriad of challenges facing food service managers and almost all of them are more difficult to navigate with a high rate of employee turnover. However, managers applying the tips above stand to cross a vital obstacle and turn employee retention from incredibly difficult to entirely possible.